Graham Duncan (GD): Finding, retaining and developing talented staff continues to be one of the greatest challenges for most organizations. You indicate that despite this most companies are doing little to plan for and meet their needs for talent. How would you explain this phenomenon? Peter Cappelli: It's because they don't know how to do it. Traditional planning has been a failure, and they don't see another alternative. GD: You say that failing to manage your talent is equivalent to failing to manage your supply chain. Would you elaborate? Peter Cappelli: Human capital is the most expensive component of operating costs, and it has all the challenges. If the goal is to get the right people into the right job at the right time, getting it wrong has all the costs of a mismanaged supply chain – the wrong people, and people not there when you need them. Further, the costs are even bigger for people because they can walk away: you have them ready to go, sitting in the equivalent of inventory, and they get a better offer and leave. GD: Increasing competition in product markets has weakened the traditional talent management model. Competition has produced shorter production cycles, and accelerated changes in business strategies as companies try to stay ahead of their rivals. One result of faster production cycles is that the competencies required to produce the products are changing just as quickly. Does this mean that the traditional talent management model is extinct, or are there adaptations to that model that organizations should consider? Peter Cappelli: Yes, the traditional model is extinct. Not just because planning cycles are shorter, but because uncertainty is so much greater – instead of planning we are forced to react. GD: Are small, flexible and adaptive organizations better able to manage talent? Peter Cappelli: Probably not. They may be much better at responding to changing product markets, but whether they can respond to changing needs for talent is another issue. GD: What are the challenges for small organizations in talent management? Peter Cappelli: Their special challenge is that they lack scale, which is important for internal development using work-based experiences to learn, and making better matches between individual needs and assignments. On the other hand, they often can move people around to take advantage of the fit that does exist between current employees and needs. GD: Your article in the March edition of Harvard Business Review has drawn further attention to the topic of managing talent. Has the recession prompted business to realize that past practices in talent management have not been successful? Peter Cappelli: I'm not sure they have had the opportunity yet to step back and take in lessons from the recession. They surely understand that they were not able to forecast this development and were caught with many more employees than they needed. GD: As corporations reduce their efforts to develop talent the pool of individuals having managerial competencies diminishes. The increase in business education graduates will provide something of a substitute, but work-based competencies associated with talent management programs are difficult to duplicate. Would you say that the decline in talent management has implications that go beyond individual corporations to the economy as a whole? Peter Cappelli: Absolutely. This is perhaps the main competitive challenge the United States economy faces, an overall shortage of work-based skills because no employer wants to provide them. They all expect someone else to do it, and to be able to hire such skilled employees whenever they need them. GD: You indicate that studies on downsizing found that employers with the most sophisticated and detailed HR plans for workforce reductions actually had the worst outcomes. To what do you attribute the gap between those HR plans and the operational reality of downsizing? Peter Cappelli: Generally, plans also create constraints. Long-term plans create long-term constraints. Responding to new developments becomes difficult if organizations are locked into plans based on a previous reality. GD: You are the Director of The Center for Human Resources at Wharton. Among the many areas of study underway at the Center, how much work is focused on alternatives to downsizing? Peter Cappelli: Not much, frankly. We are active on several fronts but are not focused on downsizing at this time. GD: In addition to downsizing, alternative approaches such as reductions in salaries and work hours, and elimination of perks are being considered by many organizations. Are there any early indications that these approaches are working? Peter Cappelli: We know they work for the obvious reasons that they've always worked. Cutting salaries and reducing pay and associated hours saves money immediately. It also keeps the workforce together. The issue is just when to use this approach compared to layoffs, which can save even more money in the long term, but come with short term costs. Layoffs also result in a loss of opportunity to pick up business again. The problem is that companies were using layoffs in a context where these other approaches would have worked better – most companies anticipate that business will come back reasonably soon. GD: You say it is best not to assume that you can forecast and plan around demand in times of uncertainty. Instead, business should take uncertainty as a given and find ways to adapt. One approach you recommend is the principle of portfolios. What is the principle of portfolios? Peter Cappelli: In the stock market, holding several stocks in a portfolio is less risky than holding one because some are likely to be up while others are down. In the case of workforce and succession plans, the equivalent is making bets across many candidates and positions rather than just one individual for one position. GD: You say outside hiring has changed talent management by providing an important benchmark for internal development. Does this mean internal development must pass the test of being as effective as external hiring? Peter Cappelli: Right. Companies have a make or buy choice. The problem is that when so many have chosen the buy choice, it makes it difficult for everyone to hire from the outside. GD: What are some of the limitations of hiring from outside the organization? Peter Cappelli: Fits are harder to judge, costs are higher, and morale inside suffers when internal candidates are passed over. GD: You say many organizations have begun to shift toward internal development of talent, and that this comes with many challenges, particularly if they want to avoid duplicating mistakes of the past. What advice would you give them? Peter Cappelli: I don't think many have shifted to internal development. I think they are frustrated by outside hiring, though. The problem they have to face is how to recoup the investment costs – we invest in employees and they leave. One way to do that is to get the employees to share the investment costs. GD: One of the biggest problems in talent management is decentralization. Decentralized business units have the benefits of speed, adaptability and responsiveness to local customers but often at the peril of being under-resourced and constrained in work-based opportunities for development. How can local managers, often left alone by the central corporation, overcome these challenges and retain and support the growth of their staff? Peter Cappelli: They can't. If operations are truly decentralized, it simply creates all kinds of problems, such as resource constraints, lack of opportunities for matching development needs to open positions, concern about losing talent to another unit, or an unwillingness to develop for jobs beyond your immediate needs. GD: Would you talk about the benefits of "promoting and then developing" employees? Peter Cappelli: Better retention, better morale, better fits, lower wages. GD: Do you have any recommendations for companies that wish to attract and retain employees who are highly innovative and creative? Peter Cappelli: Give them opportunities to do more challenging work that prepares them for better jobs. GD: Do you think with globalization more companies will rely on talent from many different countries as and when they need it? Peter Cappelli: Sure, the trend has been in that direction for more than a decade. GD: What are some of the ways to recapture the investment of recent hires? Peter Cappelli: If the employees stay, it isn't hard to capture the benefit. The problem is keeping them when they become more valuable after you train them and avoid paying for the training twice – once for the training, then for the higher wages they demand after being trained. GD: You are currently completing a study of worker characteristics and establishment performance. Would you tell us more about this study? When will it be published? Peter Cappelli: We are still working on it at this time. I will have more to share later this year. GD: You were recently interviewed on National Public Radio's Times with Marty Moss-Coane on the topics of the "science and psychology of changing your mind." It was prompted by Senator Arlen Specter's announcement that he was switching political parties to become a Democrat. In that interview you talked about the impact a company's "change of mind" can have on employees, and how best to "explain" such changes. Would you share your thoughts on this issue? Peter Cappelli: It suggests inconsistency and a lack of direction. If you don't tell them what you are doing your employees will make up their own answers, so it's better to tell them whatever you know, even let them know that you don't yet know what the answer will be. Peter Cappelli: We've recently finished a book about Indian business leadership that will be out in the fall. A title for the book is in discussion. Talent on Demand makes a bold statement; at a time when talent is the biggest cost and biggest opportunity for most companies, they continue to use outmoded methods. Peter Cappelli provides managers with a valuable history lesson and a set of tools for human resource planning. 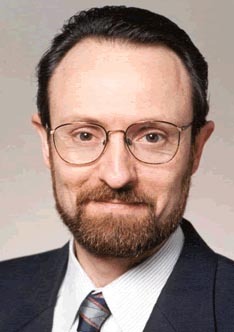 Dr. Peter Cappelli is the George W. Taylor Professor of Management at the Wharton School, Director of Wharton's Center for Human Resources, and a Research Associate at the National Bureau of Economic Research in Cambridge, Massachusetts. Dr. Cappelli is an internationally respected expert. His books Why Do Employers Pay for College? (2005), Talent on Demand: Managing Talent in an Age of Uncertainty (2008), The New Path to the Top (January 2005), Do Franchises Offer Bad Jobs? (2008) are the result of years of study in the field of human resource management. If you would like us to interview you about an article or book you have written, or an interesting idea, or a business you are involved with, [please Contact Vern Burkhardt].